Gustav Frielinghaus was born on 5 March 1912 at Osnabrück. At the outbreak of World War 2, Gefreiter Frielinghaus was performing instructor duties at a flying school. He later served with Jagdfliegerschule 5 and with Jagdergänzunsgruppe Merseburg where he received promotion to the rank of Leutnant. In June 1941, Frielinghaus was transferred to JG 3 based on the Eastern front. Leutnant Frielinghaus was assigned to 6./JG 3. He gained his first victory on 6 July, when he shot down a Russian SB-2 twin-engine bomber. On 25 July, Frielinghaus shot down two Russian DB-3 twin-engine bombers near Stawiszce to record his second and third victories. However, his Bf 109 F-2 (W.Nr. 8996) was hit by return defensive fire in the engagement necessitaing a forced-landing at Moroszkoad. By autumn 1941 he had achieved seven victories. In spring 1942, 6./JG 3 was relocated to the Mediterranean theatre. Operating from bases in Sicily, Frielinghaus flew missions over Malta without adding to his victory total. Frielinghaus was relocated back to the Eastern front with the Stabstaffel of II./JG 3 in May 1942. He recorded his 10th victory on 23 June, when he shot down a Russian LaGG-3 fighter near Ulanowka. His 20th victory followed on 6 August, when he shot down a Russian Pe-2 twin-engine bomber near Salinskiy. By October 1942, Frielinghaus was serving with 6./JG 3. Soon Frielinghaus was operating over Stalingrad. He was to be one of the last to leave Pitomnik, the airfield within Stalingrad, when he was evacuated in a transport aircraft. Frielinghaus had recorded 37 victories during his time operating over Stalingrad. On 25 March, Frielinghaus was appointed Staffelkapitän of 6./JG 3. He recorded his 50th victory on 15 April 1943, operating over the Kuban bridgehead.  Frielinghaus was appointed Staffelkapitän of 11./JG 3, based in the Mediterranean theatre, at the end of May 1943. He had 66 victories to his credit at this time. Over southern Italy, Frielinghaus claimed eight further victories in a short time, mainly USAAF P-38 twin-engine fighters. On 9 September, he was badly wounded and his Bf 109 G-6 (W.Nr. 18 861) was destroyed in aerial combat over Foggia with USAAF B-24 four-engine bombers. He had barely recovered from his wounds when he was badly injured in a take-off accident on 19 December, when he collided with an Bf 110 twin-engine fighter in Bf 109 G-6 W.Nr. 160 726. At the beginning of 1944, Frielinghaus was transferred to the Gruppenstab of IV./JG 3. 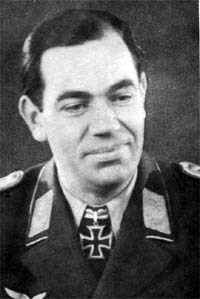 From 1 May to 25 June he led II./JG 3. In July, he was transferred as Staffelkapitän of 2./JGr Süd. On 1 November 1944, 2./JGr Süd was redesignated 6./EJG 1. On 28 March 1945, Frielinghaus was appointed Gruppenkommandeur of II./EJG 1. Frielinghaus survived the war but died on 11 September 1963 at Düsseldorf. Gustav Frielinghaus was credited with 74 victories in 350 missions. He recorded eight victories, including six P-38 twin-engine fighters, over the Western front.